MIROSLAV VICHEV is a Chief Executive Officer of the payment and card operator BORICA. He has over 25 years of experience in the field of information technology for the banking sector. 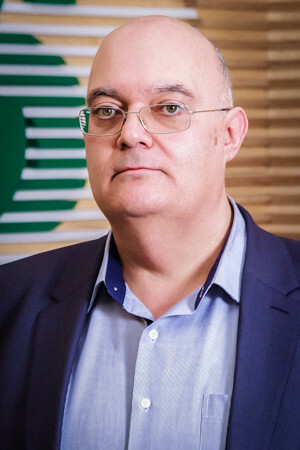 Before joining the company, he held a number of leadership positions - Head of “Applied Systems” at the Bulgarian Postbank, Director “Management Consulting and IT” at Deloitte & Touche, Head of “Consulting Department” at Microsoft Bulgaria and a consultant to the BNB in relation to the RINGS system, IT Director at HVB Bank Biochim, CEO of DSK Bank. He was also a member of the Supervisory Board of the “DSK Rodina” pension company, member of the Board of Directors of the “Cash Service Company AD” and a member of the Board of Directors of OTP Bank (Russia), Deputy of the CEO of OTP Bank (Hungary) and Chief Information Manager of the banking group. Mr. Vichev is a former graduate of the Technical University of Sofia. 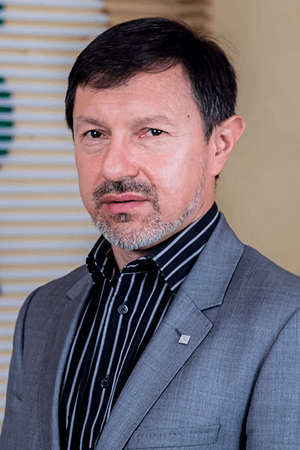 HRISTO KOSTOV is a Chief Architect of the payment and card operator BORICA. He has more than 20 years of experience in the field of information technology for the card sector. Before joining the company, he had more than 10 years of experience in system and application programming for IBM Mainframe, as a programmer at the “Stomana” Pernik plant and a research fellow at the Central Institute for Software Products and Systems (CISPS) Sofia. He graduated from the University of Chemical Technology and Metallurgy of Sofia. KRASSIMIR GEORCHEV is a Sales Director at BORICA AD. He has nearly 22 years of commercial and management experience in international IT companies. From 1995 to 2000 he was part of the team of the technological giant IBM, where he built and maintained contacts with the key clients from the banking and public sector in our country. Between 2000 and 2009, again at IBM, he held the position "Technology Services Manager". 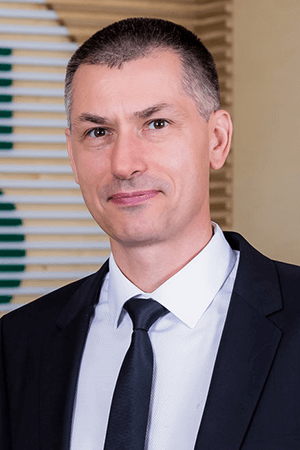 From 2009 to 2015, he was a “System Integration” Manager initially at Siemens IT Solutions Bulgaria, and after the merger of the two companies, he became part of the team of Atos IT Solutions and Services. He has a Master’s degree in “Information Technologies” from the Sofia University "Kliment Ohridski". Director "Product and service development"
IVAN VELKOV is Director “Product and service development” in the payment and card operator BORICA. He has over 25 years of experience in the field of information technology for the banking sector. 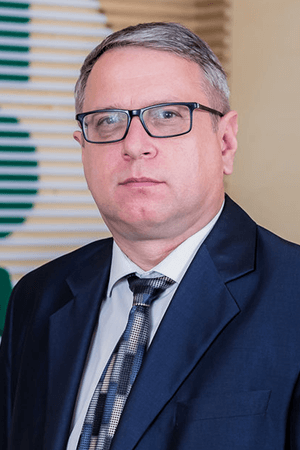 Before joining the company, he held a number of leadership positions: Head of “Implementation and operation at post offices” at Bulgarian Post Bank, IT Manager of Aroma EOOD, Director “IT Development” at HVB Bank Biochim, Head of “Development and implementation of IT systems” at DSK Bank. He graduated from the University of Sofia – Master’s degree in Mathematics and Informatics and from the University of National and World Economy, Master’s degree in Marketing and Management. RADOSLAV DIMITROV is director of the "Cards and Terminals" Directorate at BORICA. He started work at the company in 2002 as a system operator. In the period 2005 – 2009 he was an administrator of "Real time and financial servicing system", where he was responsible for the administration of the BORICA card system. In 2009 he headed the “Card Payments System Administration” department, and in 2016 he was the Head of the “Card Products and Services Development” department. Currently, he manages one of the key directorates in BORICA – "Cards and terminals". The efforts of his team are focused on the development and implementation of innovative payment solutions. He has a master's degree in "Telecommunication Management" from the New Bulgarian University, as well as a number of specializations in the field of card payments. MARIAN CHOLAKOV is a Director of “Operations” Directorate at BORICA. He has more than 20 years of experience in the field of card payments, payment systems and information technologies in the banking sphere. He has worked in BORICA since 1993, with main occupation - development and maintenance of ATM software. Since 2008, he had been Head of the “Real time and financial servicing system”, where he was responsible for IT and operations of the BORICA card system. 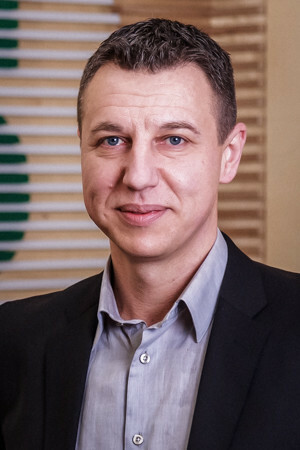 After the merger of BORICA and Bankservice in 2010, he became Director of “Administration and operation of systems” Directorate, responsible for the operational servicing of the payment systems: BORICA, BISERA6 and BISERA7-EUR, as well as for the IT infrastructure of the card services, provided by the company. He graduated from the Technical University of Sofia. 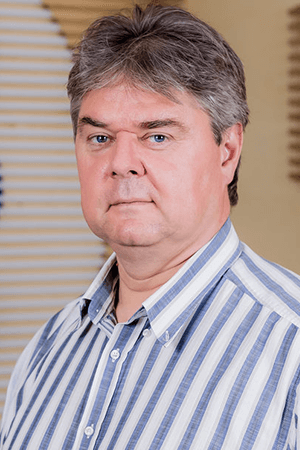 IVAYLO DEKOV is Director of the “Infrastructure” Directorate, with more than 20 years of experience in the field of information technology in the areas of system integration, project management, customer service and people management. He started his career in the banking sphere, where he implemented card payment systems at Bulbank and BNP-Dresdner Bank. Later he joined Hewlett-Packard in Bulgaria, where as Project Manager he introduced a number of significant IT projects, including a real-time payment system at the central banks of Macedonia, Serbia and Oman, as well as a system for budget payments to the Ugandan ministry of economy. Ivailo's management career goes through the positions of Manager of IT consulting department and Director of Global Solution Center at HP, Chief Customer Services Officer at Blizoo and Director IT Operations and Support at DSK Bank. He graduated from the Technical University of Sofia and the MBA program at Warwick Business School in England. ANDREY DIMITROV is Director of the “Finance and Control” Directorate at BORICA AD. He joined the company's team in 2016, as Head of “Control of Processes and Project” department. He has a great experience – more than 23 years in the establishment and management of companies, management of large-scale projects in the field of information technologies, internal and IT audit, risk management. 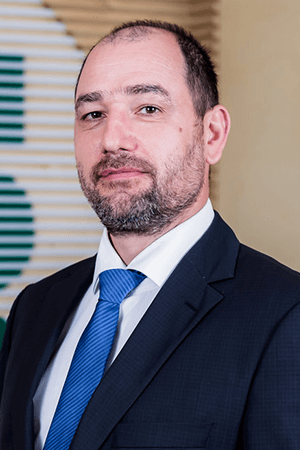 He held the position Management Consulting Manager at Deloitte Bulgaria for 8 years, and for the next 5 years he was Deputy Director Internal Audit at Petrol Holding. He is also managing partner of a number of companies, including the financial company Cashoffice AD, the non-profit Information Systems Audit and Control Association and the consulting Anda Consulting Ltd (part of the international audit and consulting network Nexia International), etc. As Director of Anda Consulting, he was also a member of the Board of Directors of DFK International – EMEA. VALERI IVANOV is Director of the “Security and conformity” Directorate at BORICA. 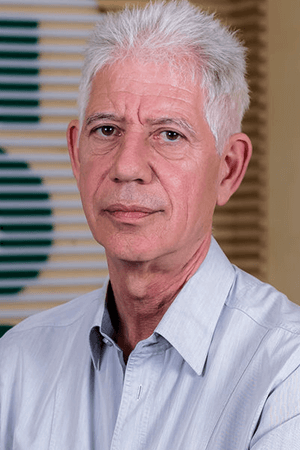 He has over 20 years of experience in the field of information security, card payments, payment systems and information technologies in the banking sphere. He started work at BORICA in 1995 as a defense expert. Since 2004, he has been Head of “Protection and Risk” department, where he was responsible for BORICA's information security. After the merger of BORICA and Bankservice in 2010, he became Director of the “Information Security” Directorate. In 2016, he became Director of the “Security and conformity” Directorate and he is responsible for the information security, physical security, risk management, and compliance with external regulations. He graduated from the Technical University of Sofia, specialty: IT. Head of "National Card Scheme"
STOILKA ARSOVA is Head of "National Card Scheme". Effective from January 1st 2018 the Directorate reports directly to the Board of Directors of BORICA AD. Mrs. Arsova has more than 15 years of experience in the banking sector in the sphere of electronic and card payments. Her career began at Roseximbank in 2001, then in the Card Center of DZI Bank, where she worked as a Head of “Card Business Development”. After the merger with Postbank, Mrs. Arsova was Head of "Alternative Distribution Channels" and "Debit Cards" where among the important projects that she led were: the development of electronic payment channels, management of new business lines and reorganization of the activities of debit cards and ATMs after the merger of the two banks. In 2014 she joined the team of BORICA - BANKSERVICE AD, where she headed the newly created "National Card Scheme" unit. The unit aims at developing rules and new business models, in order to support the implementation of Bulgarian payment card with the Bcard logo with new services and transactions of national importance. Since the beginning of 2017 Mrs. Arsova represents the Scheme at the EUROPEAN CARD PAYMENT ASSOCIATION (ECPA). ANNA ANGELOVA is Director of the “Payment Services” Directorate at BORICA AD. She has more than 18 years of experience in card payments and retail services in the banking sector. 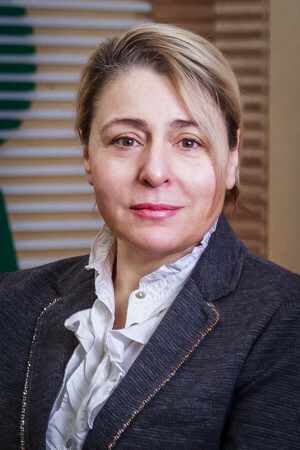 Before joining the team of BORICA, she held a number of leadership positions such as Deputy Director and Card Payments Director at Fibank, Retail Banking Director, UniBank, Macedonia, Member of the Board of Directors of the CaSys Operator, Macedonia, Executive director and member of the Board of Directors of Diners Club Bulgaria AD. 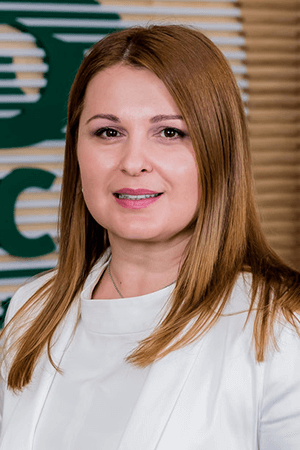 In BORICA AD Anna Angelova is responsible for the development of the company's activity as a payment institution. She graduated from the University of National and World Economy, specialty – Finance and credit.